Interesting alternative to spend some time swimming in Denver. Is it not your very first time here? Tell us how it went using the Facebook comments beneath or contacting us directly! 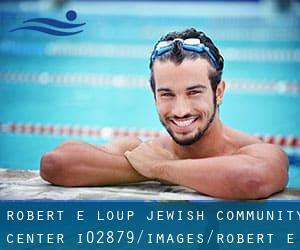 Robert E. Loup Jewish Community Center is only one of all the swimming pools Swimia is offering you, and its information has been shared with us by a swimmer like you.Remember you can actually now promote Robert E. Loup Jewish Community Center by sharing this page together with your good friends, adding comments and linking to us. Few days ago a common user of this center told us they offer 25 yards, 6 lanes, Outdoors. Furthermore, they keep in good conditions 20 yards, Salt Water, Non-Chlorine Sanitized, Indoors. For this Swimming Pool, only phone number is number here. Write down the GPS coordinates we've on our file for this Aquatic Center, so you can enter them into your GPS to aid you locate the Swimming Pool easily. Updated on 2019 729 Ulster Way , Denver , CO , USA (Postal Code: 80220). This sports center gives 25 yards, Indoors. For this Swimming Pool, only phone number is number here. Updated on 2019 9651 E. Martin Luther King Boulevard , Stapleton , Denver , CO , USA (Postal Code: 80238). This sports center gives 25 yards, 4 lanes, Indoors. Contact information for this Swimming Pool just like phone number and e-mail address are number. Updated on 2019 2800 Glenarm Pl. , Denver , CO , USA (Postal Code: 80205). Swimmers like you reported 25 yards, 5 lanes, 3 feet-10 feet depth, Indoors. Phone number and e-mail address are number for this Swimming Pool. Updated on 2019 1011 20th Street , Denver , CO , USA (Postal Code: 80202). This sports center offers 20 yards, Indoors. Contact info for this Swimming Pool such as phone number and email address are number. Updated on 2019 2680 W. Mexico Ave. , Denver , CO , USA (Postal Code: 80219). Swimmers like you reported 25 yards x 45 feet, 5 lanes, Indoors. Phone number and e-mail address are number for this Swimming Pool. Updated on 2019 5181 W. Kenyon Ave. , Denver , CO , USA (Postal Code: 80236). Among all of the activities offered by the center, if you're keen on swimming you are going to enjoy 25 yards x 36 feet, 6 lanes, Indoors. Just in case you want to make contact with this Swimming Pool before dropping by, we only know the phone number. Updated on 2019 650 15th Street , Denver , CO , USA (Postal Code: 80202). Among all the activities supplied by the center, when you are thinking about swimming you will enjoy 20.3 yards, 2 lanes, Non-Chlorine Sanitized, Indoors. If you should contact this Swimming Pool, email address and phone number are both number. Updated on 2019 3880 Newport St. , Denver , CO , USA (Postal Code: 80207). Swimmers like you reported 25 meters, Indoors. Phone number and e-mail address are number for this Pool. Updated on 2019 1672 Lawrence Street , Denver , CO , USA (Postal Code: 80202). Among all of the activities supplied by the center, if you are interested in swimming you are going to enjoy 25 yards, Indoor/Outdoor. If you will need to contact this Pool, e-mail address and phone number are both number. Updated on 2019 15555 E 53rd Avenue , Denver , CO , USA (Postal Code: 80239). This great and large sports center lets professional swimmers like you enjoy 25 yards, Indoors. Additionally, within these facilities you can try 25 yards leisure pool, Indoors. Unfortunately we do not have the email address of this Swimming Pool, but we can provide you with the phone number. Updated on 2019 65 S. Elati St. , Denver , CO , USA (Postal Code: 80223). This sports center delivers 25 yards, Indoors. Contact information for this Pool like phone number and email address are number. Updated on 2019 5031 W 46th Avenue (Sheridan Blvd. and W. 46th Ave.) , Denver , CO , USA (Postal Code: 80212). This sports center gives 25 yards, 5 lanes, Indoors. Contact details for this Swimming Pool which include phone number and email address are number. Updated on 2019 2695 S. Monaco Pkwy. , Denver , CO , USA (Postal Code: 80222). This sports center gives 25 meters x 10 meters, 4 lanes, Indoors. For this Swimming Pool, only phone number is number here. Updated on 2019 Ritchie Center , 2201 East Asbury Avenue , Denver , CO , USA (Postal Code: 80208). Swimmers like you reported Olympic size x 25 yards, 8 lanes x 17 - 25 lanes, Indoors. Phone number and e-mail address are number for this Swimming Pool. Updated on 2019 2960 Fife Court , Denver , CO , USA (Postal Code: 80211). Swimmers like you reported 25 meters, 3 lanes, Indoors. Phone number and e-mail address are number for this Pool.